With interim light heavyweight champion Jon Jones’ status still as uncertain as ever, UFC light heavyweight champ Daniel Cormier (pictured) will grant Anthony Johnson a rematch at UFC 206. Cormier was initially slated to face Jones at UFC 200 in a title unification bout, but Jones was pulled from July’s historic card just days before showtime after testing positive for estrogen blockers. 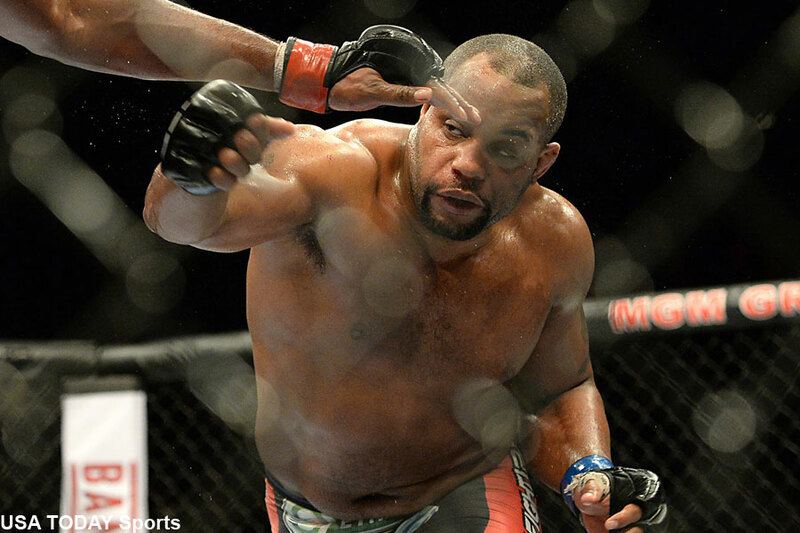 Cormier went on to dominate former UFC middleweight champ Anderson Silva in a non-title affair that evening. Cormier submitted Johnson just three outings ago to capture the vacant belt that was stripped from Jones following his hit-and-run felony arrest. Johnson, arguably the most intimidating man in the division, has since rattled off three straight knockout victories to earn another crack at the crown. “Rumble’s” fresh off putting Glover Teixeira to sleep in August. It is unknown if this tango will get top billing at UFC 206. It has been long rumored that former UFC welterweight king Georges St-Pierre would end his three-year “break” from MMA and return to action in his homeland, but the UFC has failed to present him with an offer that’s acceptable. UFC 206 takes place December 10 inside Air Canada Centre in Toronto.